Since nothing in life is really free, websites offering "free" TV show downloads, "free" anti-virus programs, or "free" music actually come with a huge price tag: your personal information. Since your financial records and private files mean everything to you, they mean everything to us. That's why when we discover a virus, malware, adware, spyware, trojan, rootkit, or PUPs (potentially unwanted programs) on your computer, we'll hope for the best but prepare for the worst. Even our most rigorous virus removal services cost less than the Geek Squad, guaranteed. After diagnosing your computer, you'll qualify for one of our three "service levels" -- bundled services that come with everything needed to disinfect your computer, minus the hefty price tag. If you don't have adequate anti-virus software on your Windows computer, all of our Virus Removal bundles come with award-winning security software to keep your computer protected from future threats. And, all Virus Removal bundles come with our unbeatable post-service support, absolutely free for up to a year after your appointment. Note: If you bring your computer to the Geek Squad for a quote before requesting a quote from iTech, and the quote we offer is higher than what Geek Squad offered, submit written proof of the lower quote, and we'll match the price and beat it by 10%. Offer only applies to Geek Squad "On-Site" appointments from U.S. Best Buy stores for comparable services to be performed. This in-home appointment includes the diagnosis of an infected or potentially infected computer, as well as the thorough removal of viruses, malware, adware, and other harmful files from your computer. Since every computer can be infected to a different degree, the types of services that will be performed depend on the "service level" your system qualifies for after a diagnosis. Regardless of how infected your computer is, though, all Virus Removal services come with our post-service support, which provides coverage for your computer in case you become infected again in the future. Contrary to popular belief, Mac computers can also get infected. Increasingly popular malware and adware are now targeting unsuspecting Mac users, overwhelming them with advertisements and convincing them to buy premium technical support simply to lurk through their files. 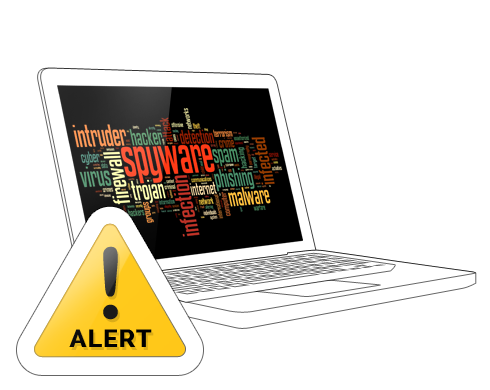 We have powerful tools that can sniff out these pieces of malware and adware to make your Mac safe again. While Mac-based issues don't fall under our conventional Virus Removal services, we offer services to diagnose and disinfect Apple computers as well. How'd I get a virus to begin with? I have anti-virus software. Security software can be very deceptive: some protect strictly against viruses, while others may also block malware and adware threats. With the millions of threats floating around in cyberspace, it'd be impossible for a security program to proactively monitor and block all security attacks. In addition, some authentic-looking programs come packaged with third-party products that act as adware or malware when installed by the user. While these pesky programs are hard to remove for the average user, we can remove them with ease. Can you help if my computer suddenly flashes a blue screen? We sure can. While this is an indication of a more deeply-rooted virus, we are generally able to detect the culprit and remove the virus. For more serious infections, we may have to do a system rebuild, which requires data backup, a service included in our Level 2 and Level 3 Virus Removal services. Your iTech representative will be able to offer more information if you find yourself in this situation. What happens if I have a problem after my appointment? If you suspect your computer becomes infected again after your initial appointment with us, simply give us a call to arrange another appointment. Our complementary post-service support, which comes with all Virus Removal services, provides coverage should you encounter similar issues in the future.